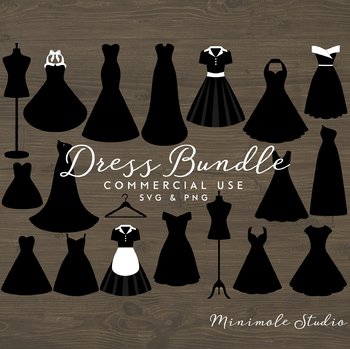 Black Dresses digital clip art pack. 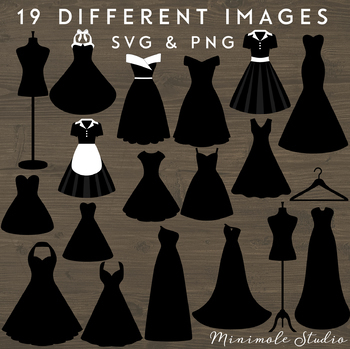 • 38 High Resolution SVG & PNG images with transparent backgrounds, approx 3000px in size. • 19 different styles of dress - gowns, vintage, halterneck and even a maid's dress! • Suitable for Personal and Commercial Use.